David N. Vickery is a native of Aiken, South Carolina and is a graduate of South Aiken High School. 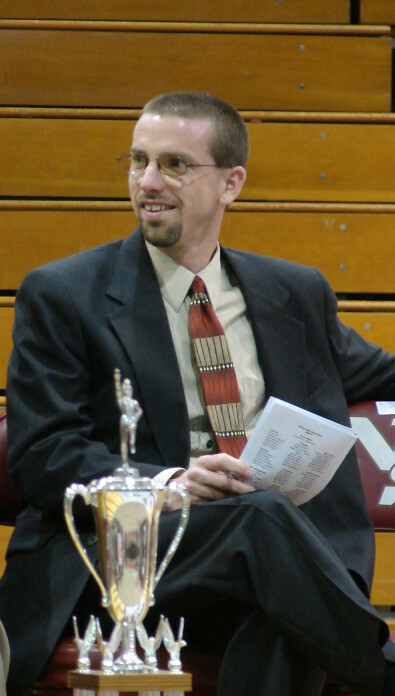 Mr. Vickery received his Bachelor’s Degree in Music Education with a Performance Certificate in Euphonium performance from the University of South Carolina in 1996. While an undergraduate, he participated in the University Band, Concert Band, Symphonic Band, Basketball Pep Band, Marching Band, and a Tuba/Euphonium Quartet. In more recent years he has performed with the Lander University Wind Ensemble, Emerald City Big Band Jazz Band, and various trombone ensembles. He earned his Masters of Science in Education from Walden University in 2012. He is formerly the Director of Bands at Edgewood Middle School, a position he held for 9 years and split between Ninety Six High School. He is currently in his 21st year of teaching as the Director of Bands at Ninety Six High School. While at Ninety Six, they have received Superior Ratings in Concert Festival and SCBDA Marching Festival. They were also the 2006, 2009, 2013, 2015, 2016, and 2017 1A State Marching Band Champions and earned the SCBDA OPA award for the 11th consecutive year. Mr. Vickery resides in Ninety Six, SC and is married to Debbie Vickery. They have a 17 year old son, Stephen and a 15 year old daughter, Kaitlyn.